The Timber Creek High School Theatre Department opens their first show of the 2014-15 season on Thursday, Oct. 2. The department invites you to attend their presentation of “Triangle” performed inside the Fine Arts Center at TCHS. Performances are October 2, 3, 4 at 7:00 pm. There is also a 2:30 pm performance on October 4. Tickets are $5 per person and are available at the Theatre box office. 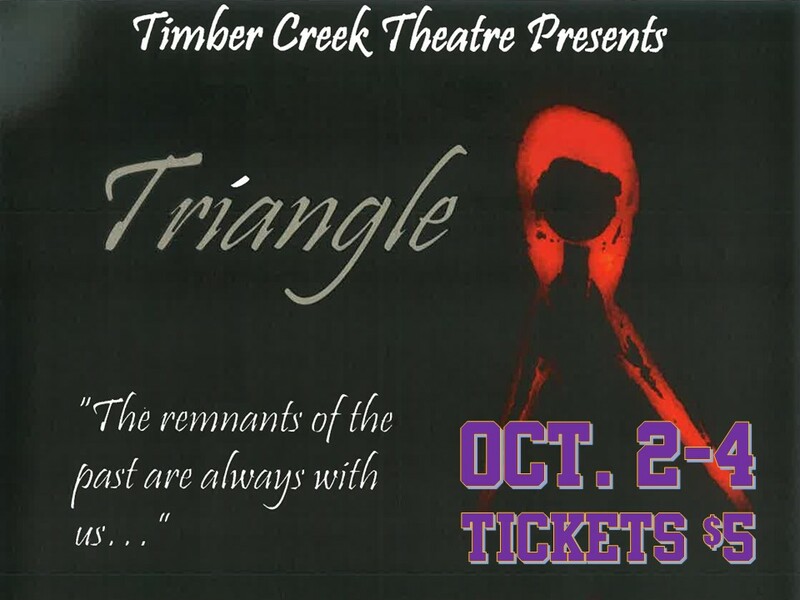 TCHS Theatre students perform in “Triangle,” Oct. 2014.